The Love (Actually) Exhibition is a group photography show that made it's debut last year. This is it's second year running at the Gladstone Hotel (on the third floor) and will be an annual show- which is super exciting for me & the wedding industry. The topic of the show is one very close to my heart; real moments from weddings. It's as simple, yet as powerful as that. And, it's other focus is the community within the wedding industry, which is in fact a community, not a group of competitors. Where did the idea of the show come from? A few years ago, my view on wedding photography completely shifted. At this time, where things were shifting for me, I had already been a wedding photographer for more than 10 years and I was starting to get a little cranky shooting weddings. And, I truly believe in shooting weddings, this should never be the sentiment of your photographer. Never ever. Some of the clients I was working with cared more about the height of their center pieces and were obsessing over the exact shade of barely-there-lipstick, instead of wanting to just spend time being present in the moment, or even over smooching their beloved. The photos were becoming posed and endless look-at-the-camera shots, and moments were being missed. Emotions from the day weren't been felt and the work was just images of things that didn't move me. These weddings were loosing sight of what mattered. The days were rushed, people were squeezing in everything they could, there were massive bridal parties that were stressing the couple out more than being there for them, and things of meaning were getting lost in the shuffle. Even I was getting distracted. When these things happen, one must take a step back and get perspective. And, I did just that. I became selective over the people I worked with, the venues I shot at, the vendors I worked with and made sure that love was the first thing that people were excited about when they talked about their wedding plans. Then, everything shifted. My work shifted. My heart shifted. After a long, heart felt season, I came up with the idea and went to the Gladstone with the idea. It was a quick turn around too. I pitched the idea in December 2016, started taking in submissions over my honeymoon in January and the show opened that next month in February. And now, it's back for it's second show and I'm so happy about it I could burst. Are all the photographs in the show yours? NO. Only one is mine. There are 34 images in the show, 33 are images from other photographers. To be honest each year it's a battle if I will actually put my own photograph in the show or not, as I'd love to give as much back to the community and feature as many photographers as possible. When I started the show last year, I custom built each frame that holds the photographs. Because of this, every year there will only ever be 34 images in the show. A lot of people ask me why I would put so much work into a photography show that is mainly other peoples work? Mainly, competitors work.... and I even get asked if I'm afraid this will take away work from myself. I disagree with this because truly there are enough weddings and work to go around. Not every wedding, not every couple, not every project is a good fit for me too. I'd rather give a project to someone it would match perfectly with. As much as people might think we are all competitors, I don't believe we are. Over the years of being a wedding photographer, these are my favourite years because the community has become so vibrant and so welcoming. 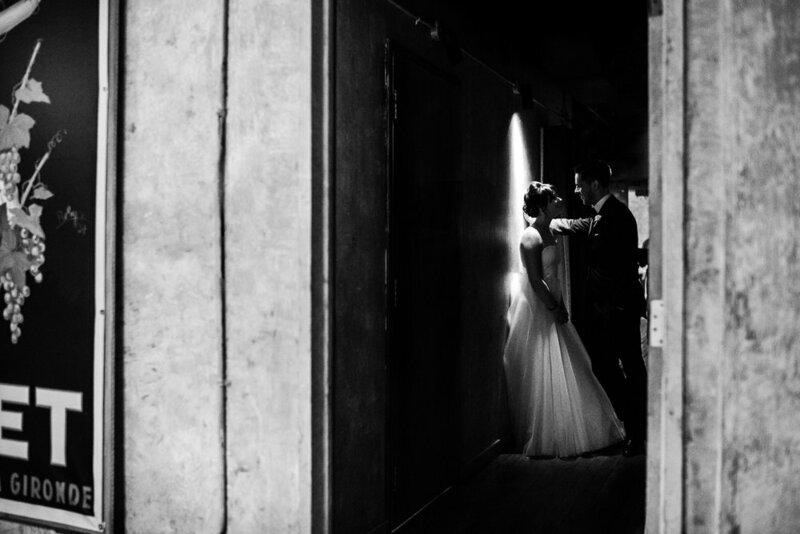 Photographers will refer weddings to one another, mentor each other, and even host events together. It's a very small community too and we are protective over each other too which is kind of nice to know that someone has your back. We have such similar strange schedules & obstacles, and being a community that helps one another allows us to grow in such a positive way. For this reason, it's with a happy heart that I love this time of year even more than usual as its the time of year I can create an opportunity to showcase the work of my peers- especially because often wedding photography isn't seen in an art frame of view. You can see the collection of this years contributors below. Click on each image to be taken to that particular photographers site and explore. Their work is truly remarkable and I am so excited to have each and everyone of them a part of this show. I truly believe that wedding photographers don't get the credit they deserve for the work they put into their craft. Often wedding photographs are seen as cheesy pictures. But, they really really are not this! Wedding photography encompasses so many things all at once. In one image you have million things going on and so often people don't realize that. It's not just point and shoot. It's not just your "fancy camera" doing all the work. It's not all Photoshop. The people in the photos are not models, they are real people, so different from each and every one of them. They are full of culture, traditions and even alternative or non traditions elements. As much as there are two people committing each other, the schedule of the day, the players, the place, the moments and the emotions are truly different at each and every wedding. To me, wedding photography is art that can move you. It's a million real moments. Photos make it so that this day is never forgotten. Memories can be remembered for generations, making your love story the best real life fairy tale there ever was. Real moments are the best. Why not have a day full of them, and then photos to bring you back to each one, over and over again. Here is the collection of 2018 photographs for the Love (Actually) Exhibition. The photos below are not in the same order as the contributor list below. Click each image to be taken to that photographers website. And, come to the show to see the show in real life. You'll thank me, they are gorgeous. Come meet all the photographers, the planners, the florists, the venue coordinators, the dj's, the couples, the people who just really dig love! Last year the room was PACKED and we think we might be lucky again with a full house. There will be music buzzing in the air courtesy of DJ RIch Sweet, with a cash bar and nibbles from the Gladstone Hotel. Last year we had some lovely coverage of the show from Toronto Life and Blogto. Both articles were absolutely awesome. This year there are some returning photographers as well as new photographers to the show. A little secret I can let you in on is that there is some mega awesome love headed our way again from one of the same publications and also some new ones too. One in particular is one that I'm so very fond of. You'll just have to check back real soon for that!